Boy will be boys, and they'll be soaking wet boys if they're not wearing a jacket while they're out kicking over ant hills in a squall. The solution? A breathable, waterproof and fully seam-sealed Columbia jacket featuring 360 reflective fabric and zip-closed pockets that'll keep those tree frogs safe and secure. Boy will be boys, and they&apos;ll be soaking wet boys if they&apos;re not wearing a jacket while they&apos;re out kicking over ant hills in a squall. The solution? 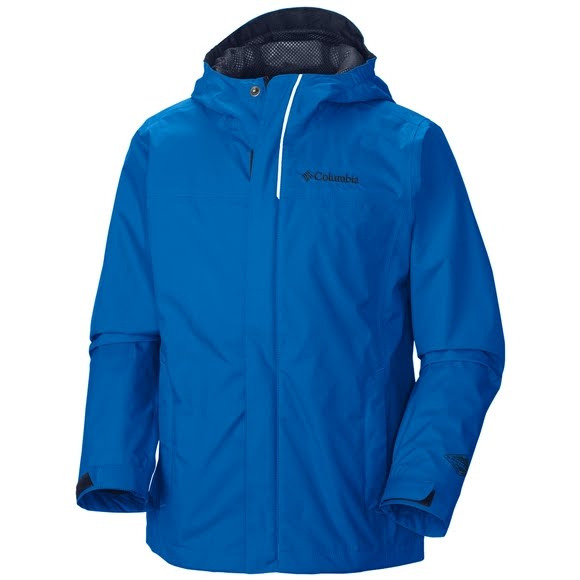 A breathable, waterproof and fully seam-sealed Columbia jacket featuring 360 reflective fabric and zip-closed pockets that&apos;ll keep those tree frogs safe and secure. Omni-Tech™ provides premium, air-permeable waterproof protection. It&apos;s waterproof and breathable guaranteed.